What is the very first thing ever that you have to do on the way to becoming a successful forex trader? Make a guess. It comes before any other aspects of trading such as technical or fundamental analysis, trading psychology, discipline, etc… The first thing you have to do is to log into a trading platform (MetaTrader or ctrader) with your account number and password in order to be able to start trading. A super majority of investors are introduced to forex trading with MetaTrader. MetaTrader is the most common trading platform and almost all of the forex brokers offer this particular platform for their clients. 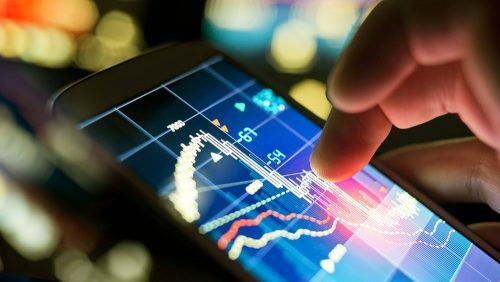 Some brokers try to distinguish themselves by offering their own genuine trading software however no doubt that MetaTrader is the king of forex trading platform world and has the biggest share by far. Perhaps the biggest competition to MT comes from cTrader, though the scale of it is very questionable. For almost 10 years, there was no other third party trading software application other than MetaTrader until cTrader appeared in 2010. Some forex brokers started to offer cTrader in addition to Metatrader for their clients’s use however cTrader’s use is still very fractional compared to MetaTrader. One of the biggest advantages of MetaTrader over cTrader is its seniority. MetaTrader was first released in 2001 while cTrader came to the market in 2010. This makes MetaTrader is a way better established and accepted platform compared to cTrader. 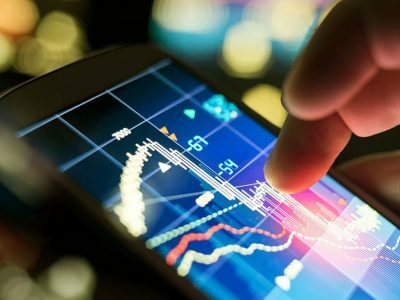 The other big advantage comes in the form of a bigger range of trading indicators and expert advisors compatible with MetaTrader. There are hundreds if not thousands of technical indicators and scripts could be easily loaded into MetaTrader and utilized by traders while this important feature is very limited for cTrader. 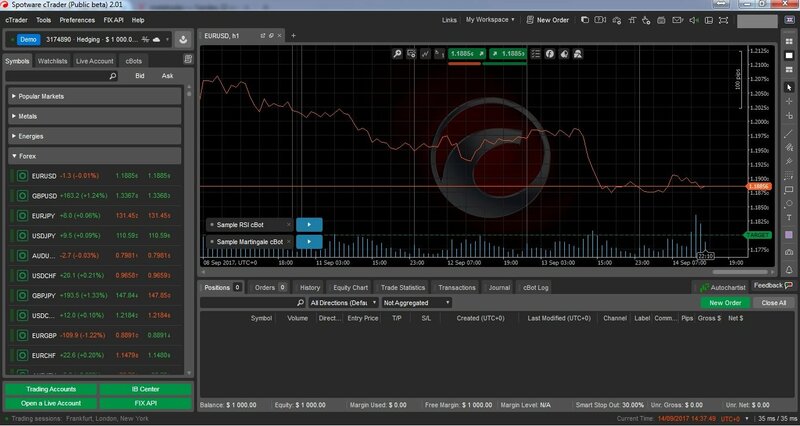 cTrader allows programmers to develop technical indicators, expert advisors and scripts using C#. On the other hand, most of the programmers in retail forex trading have got used to programming language of MetaTrader which is MQL4. 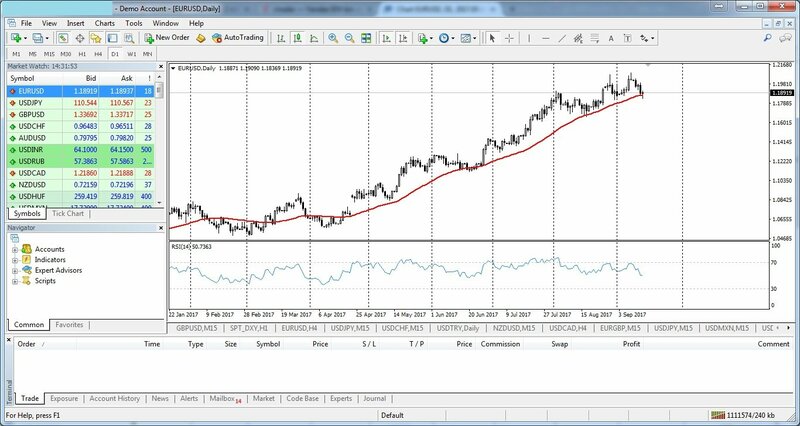 Therefore, if you ever would like to hire a freelance programmer in order to develop your own customized indicator or forex system, it is much more convenient and easier with MetaTrader. Another disadvantage of cTrader is the speed. The software feels heavy with a slower execution time and thus with a higher possibility of slippage. This is particularly too bad for forex traders who likes scalping and chase sharp moves following important economic releases.